Consumer Survey Results Are In! Earlier this year, we sent out a /Consumer Survey to customers and Facebook follwers, and the results are in. We’re going to share them here. We know that our customers and fans can provide us with lots of valuable feedback regarding their skincare needs. By checking in with them, we hope to continue to meet their needs, as well as learning what is on their most-wanted list. 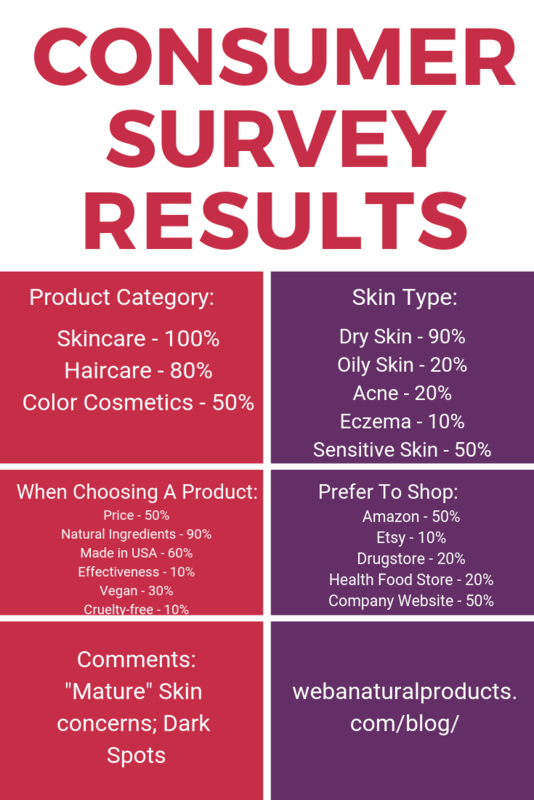 We were reaching our target customer; people with dry, sensitive skin who are looking for natural products that are effective and are made in the U.S.A.
We are focusing on products that consumers are looking for. We are thankful to our consumer survey participants. We hope that we will be able to count on them to provide feedback as we strive to improve and expand our line of natural products.